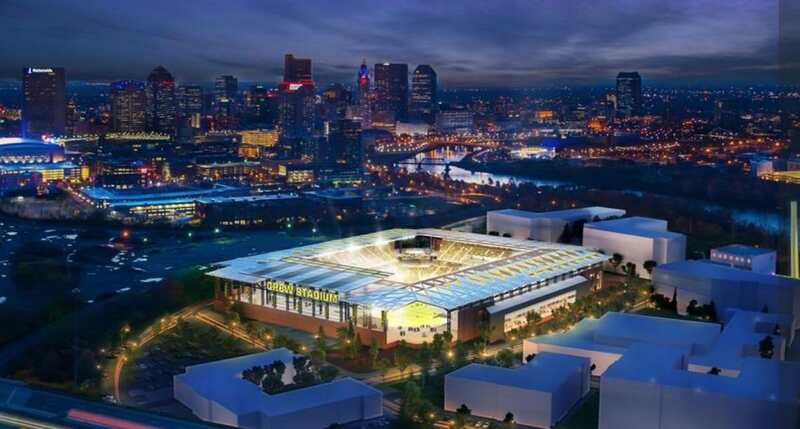 The Columbus Crew are moving on up. 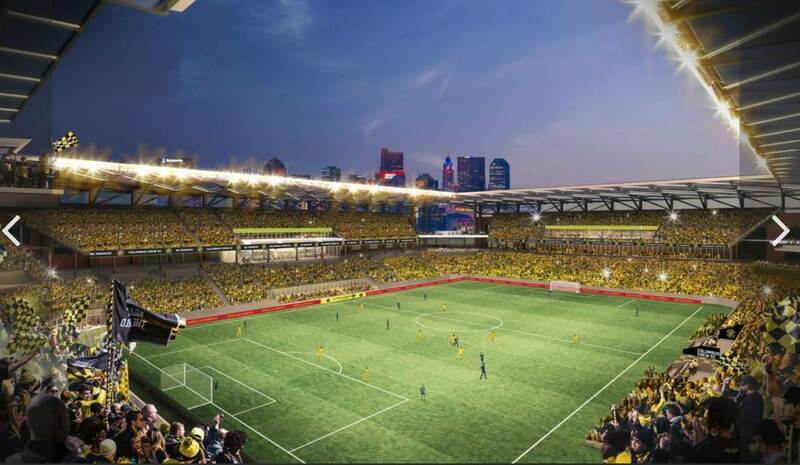 A new, 20,000 capacity stadium was announced today for the Crew. 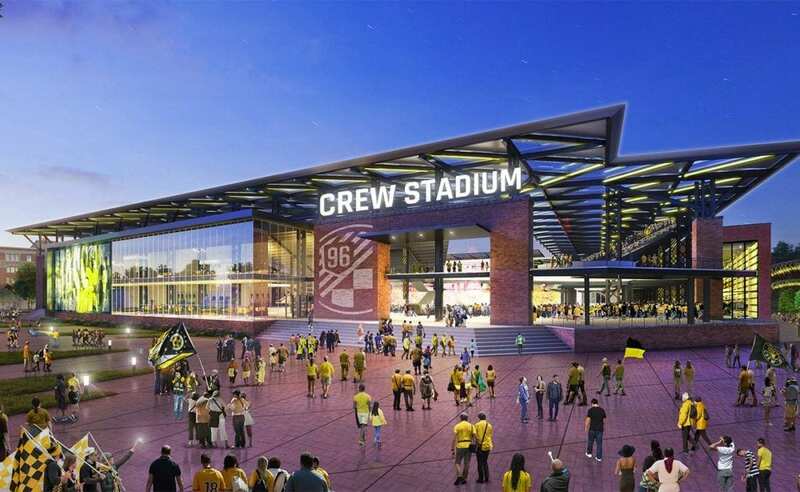 Columbus Crew Arena, as it’s currently being called, will be a 430,000 square foot stadium in the west end of the Arena District. Right now, the 33-acre site is owned by Nationwide Realty Investors Ltd. 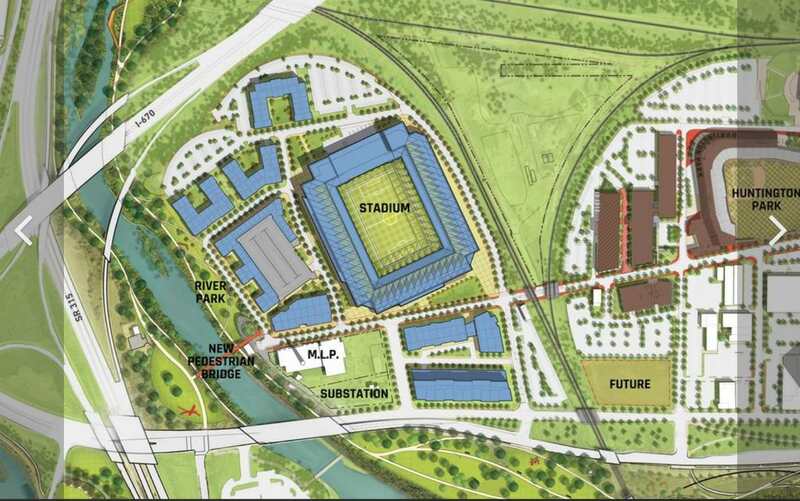 The stadium will take up just under half of that space, with a mixed-use private development and a public park making up the rest. 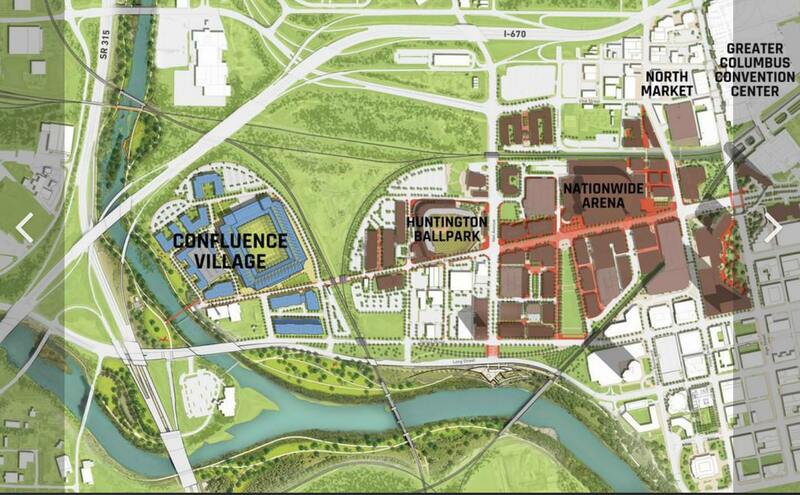 As reported by Columbus Business First, the development surrounding the stadium will be called Confluence Village and will feature hundreds of thousands of square feet of commercial and office space that will bring up to 1,300 workers to the area, plus 885 residential units (including 20% set aside for affordable housing). All of these big changes for the Crew come as the end of the year deadline looms to keep the team in Columbus. 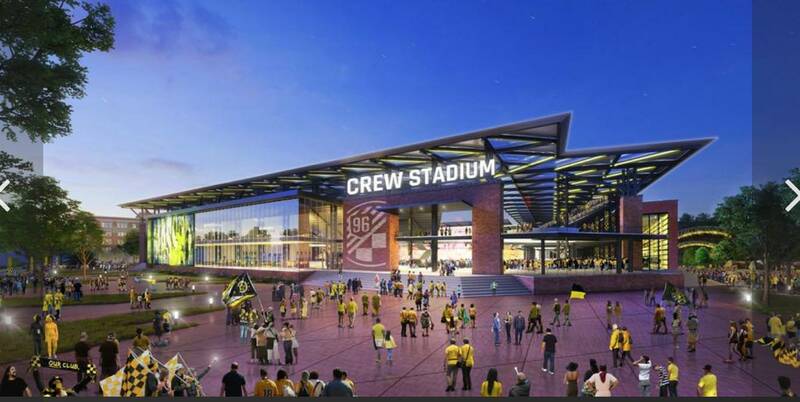 The new owners of the team will throw in $645 million for the acquisition of the team as well as the cost of the new training facility at Mapfre and the new stadium downtown. 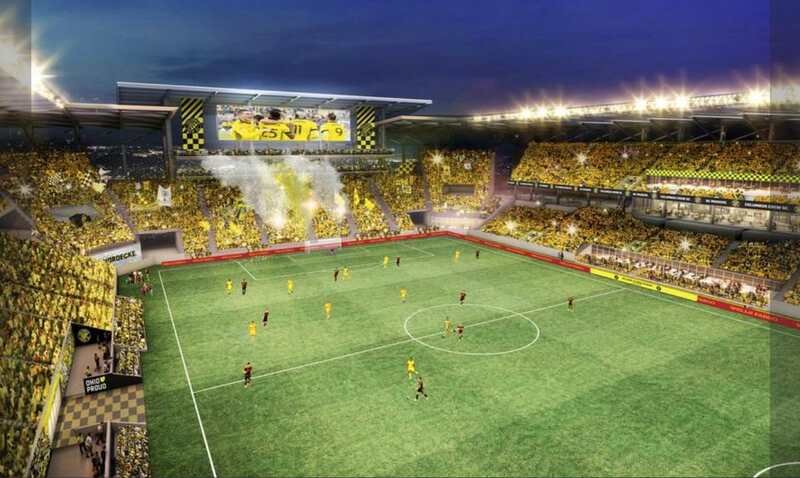 For those wondering about the city’s contribution, it was announced that the City of Columbus won’t be paying for the new stadium at all, but will contribute $50 million to build the Columbus Community Sports Park at Mapfre Stadium. The county will also contribute $50 million, but it was unclear which portion of the project those funds would go to.